It is on my list. Her books are always. Love her work. So do I, ladbookfan. I've been reading Robyn Carr's books since she was writing historical romance. Thanks for the review, Janga! I have this on hold at the library. The steep price tag is preventing me from purchasing it immediately, but I can't wait to read it. As always, I want to read about Tom! I seem to be queen of the secondary character! Hahaha I find a secondary character I'm sure the author is going to write a book about and I'm usually lucky if they give it secondary status in another book or possibly update it to a novella. I'll take what I can get, though. I'm sure Robyn works her magic and I'll be satisfied. 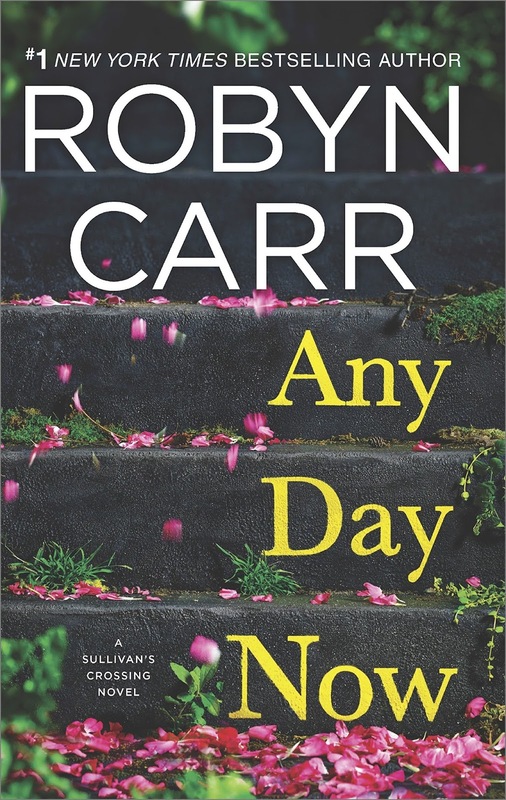 It's another indicator of Robyn Carr's skill, Irish, that she can hook her readers even on secondary characters.I think you will like this one. So many good books and limited book budgets is a common problem among romance readers, Deerdoe69. I hope you get to read ADN soon. I loved Virgin River! And I enjoy her stand-alone books too. Robyn is one of my must read authors. The Virgin River series is the gold standard in small-town romance IMO, Di. I thank you for this review. It does sound like a book that would draw me right into the story. I hope you enjoy it, Annette. I just requested it from my library, and they will let me know when I can pick it up. HOORAY! Yay! I hope your wait is a short one. I put on hold at the library. 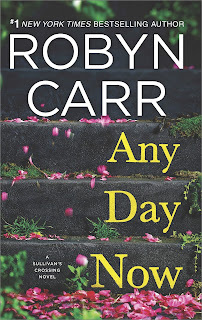 I love reading Robyn Carr and can't wait to read the 2nd book in this series. I just finished it this morning and your review is spot-on. I even reread What We Find first, just as a refresher and then started Any Day Now yesterday morning. So happy I'm retired because I pretty much read all day into last night. Such a fantastic series. Such a fantastic author. I think I'll go reread Virgin River. I hadn't realized she had started another small town series. I like them and will follow her wherever she wants to create her towns. This is a bonus for me because we lived in Colorado 3 years and love it. Thank you for the review.